This flavorful bread gets its kick from jalapeño peppers. Best of all, the bread machine does all the hard work for you! Use a small, fresh jalapeño pepper or use a tablespoon or two of canned (drained) minced peppers. Remove the stem end of the jalapeño pepper. Slice the pepper in half lengthwise. With a small spoon, scrape out the seeds and light-colored ribs. Mince the pepper finely. Add the ingredients to the bread machine pan according to your bread machine manufacturer's suggested order, adding the minced jalapeño pepper along with the flour. Select white or basic with a light or medium crust. Allow​ bread to cool before slicing. 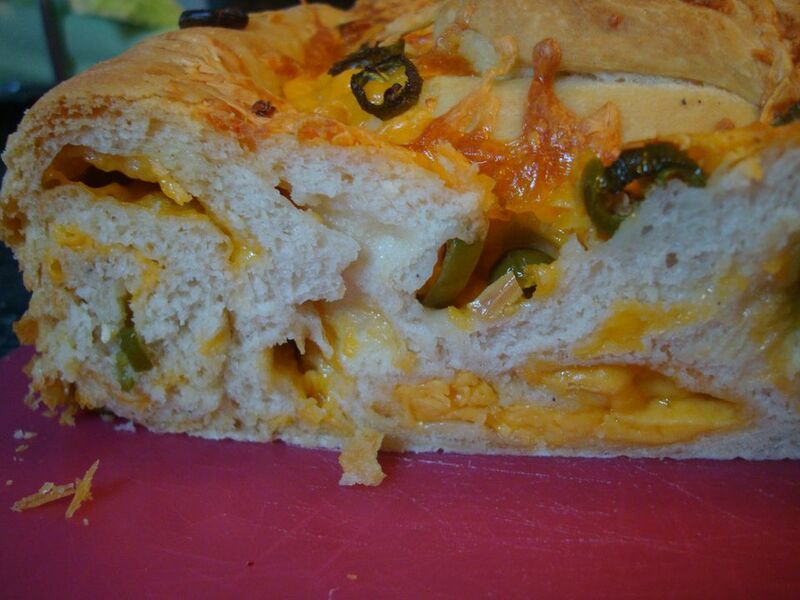 For a less spicy bread, you can reduce the amount of jalapeño pepper or use mild chile peppers.